Congratulations Maria on yet more winners. I saw Aurelius on Saturday and he's beautiful. Aliska looks amazing too. Well done to you all. Congratulations to both Aliska and Aurelius - They are both wonderful - and Raph is just SO keen to be there handling his wonderful cat! 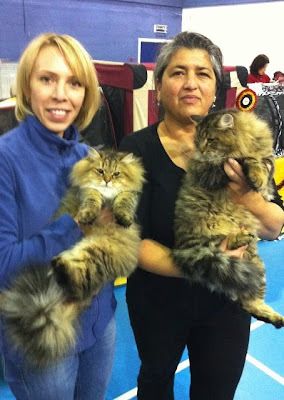 Well done again - Musrafy Siberians had an excellent weekend!